It didn't last long — maybe an hour or so — but for a brief, electrifying moment, the price of energy in the German electricity markets dipped below zero. The reason is demonstrated in a fascinating chart created by Bernard Chabot, a French renewable energy consultant, and published by Renewables International. Germany is one of the world leaders in renewable energy. 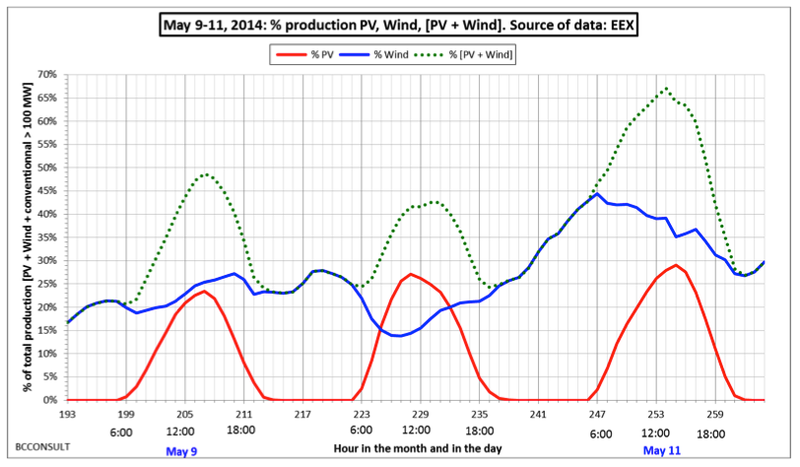 Wind and solar power vary with the weather — and it's relatively rare for both to be cranking out full power at the same time — but May 11 was one of the exceptions: A rare windy day with glorious sunshine. As a result, in the early afternoon, the total amount of renewable power entering the grid (which also includes a bit of biomass and hydropower) met nearly three quarters of demand. Due to regulations designed to encourage investment in clean energy, the grid is obliged to purchase every kilowatt produced by renewable sources. This creates certain challenges, since the yield varies over time. But there tends to be around 24 hours of warning before a surge from renewable power, in which case the system's operators tell the producers of conventional energy to slow production. As Chabot explained in a Skype chat, while it's a relatively simple procedure to lower production at a natural gas plant, doing the same for a coal or nuclear plant can be difficult. So last week, rather than ramp down energy production, those plants opted to unload the extra power at firesale prices, which even briefly dipped into negative territory. Interestingly, most of the wind farms and solar arrays in Germany are owned by private citizens, cooperatives and independent contractors. The big power compan! ies have maintained a commitment to fossil fuels — a decision they are coming to regret. The ability of Germany to produce so much power from renewables — an average of 27% for Q1 of 2014 — would seem to be good news for the planet, since fossil feul has been definitively linked to climate change. Just one little problem: With America suddenly up to its armpits in natural gas due to the fracking boom, Chabot explains, "The U.S. is now exporting low-cost coal to Europe and Asia." 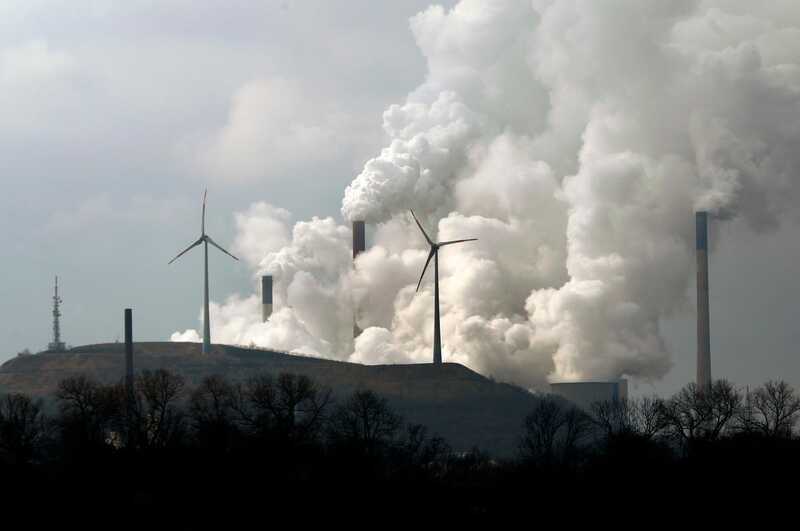 According to Bloomberg, "Eight hard-coal power plants are scheduled to start in the next two years" in Germany. Meanwhile, the other leader in renewable energy, China — America's chief economic and geopolitical rival — just announced an ambitious plan to triple production of solar power by 2017, and to increase wind capacity by 50% in the same time frame. Chabot points out that both Germany and China owe their success to so-called feed-in tariffs, or FITs, which offer producers of clean energy long-term contracts that guarantee a fixed price, based on costs, designed to reward investment. The U.S. would benefit from something similar, though Chabot proposes a more politically palatable name, such as "advanced renewable rates." But don't hold your breath. On Thursday, the Senate struck down an $85 billion tax bill because Republicans objected to a provision that would have renewed an expiring tax break for the wind industry.